100% cotton mens tee featuring a full color image on front and the 2017 tour dates on back. It is a very comfortable shirt. 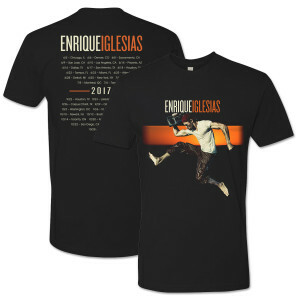 A great way to show that you're an Enrique fan!